Firefighters outside the Carlton Hotel yesterday. First, there was equipment failure at a substation supplying power at Carlton Hotel yesterday. Then a fire forced the evacuation of around 1,000 people from the Bras Basah building, while lights went out in parts of Bugis, City Hall, Marina and Somerset. Shops and restaurants at the likes of Chijmes, Plaza Singapura and The Gateway were hit as power was cut off a little after 1pm. 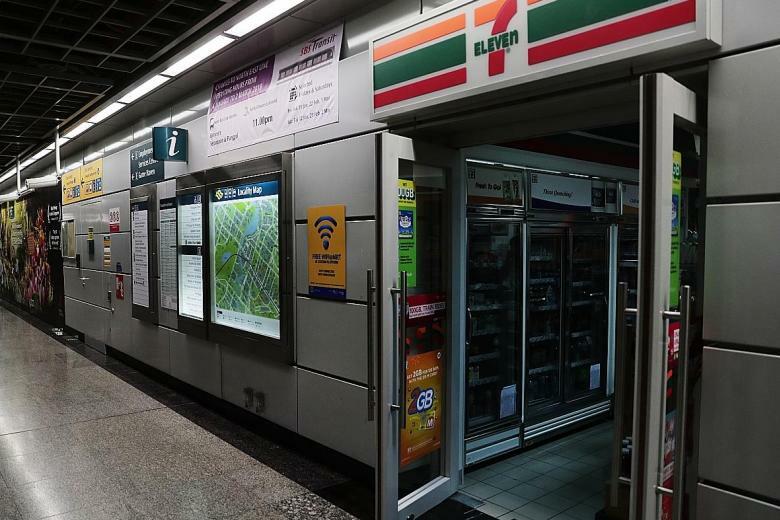 While the trains continued to run, stations on the North-East Line - HarbourFront, Outram Park, Chinatown, Clarke Quay, Dhoby Ghaut, Boon Keng and Potong Pasir - were also affected by blackouts. The power outage, which lasted for 12 minutes from 1.09pm to 1.21pm, was later linked to the fire. Equipment failure at the electrical substation at Carlton Hotel had led to the power outage and an electricity flashover, or an abnormal electrical discharge. This flashover caused the fire at the hotel. In a Facebook post, Carlton Hotel said that no part of the hotel was damaged as the fire was contained within the substation. Power was fully restored at Carlton Hotel just after 6.30pm. "As the SP substation is located on the ground floor of our hotel, for the safety of all our guests, we initiated an evacuation of everyone in the building," the hotel said. Yesterday's incident was the second time in two months a power outage occurred. Last month, a fire at a substation in Bright Hill caused a power outage which caused electricity cuts in residential homes in Bishan, Toa Payoh and Shunfu. Lifts and traffic lights in the area were also affected. Apologising to those affected by the latest power outage on its Facebook page, SP Group said the equipment failure at the substation had occurred despite the equipment being inspected less than two weeks ago on Feb 1. "Taken together with the incident at the Bright Hill substation on Jan 26, we will conduct a thorough investigation of both incidents," it added. The Energy Market Authority is also investigating the incident. SBS Transit said the power outage at its North-East Line stations was due to a dip in the power grid network, and emergency lights had to be turned on. According to SMRT, an escalator at Dhoby Ghaut and City Hall MRT stations stopped running briefly as well. Ms Mabeline Chea, the manager at Lei Garden restaurant in Chijmes, said that at 1.10pm, the lights and air-conditioning shut off, along with power to kitchen appliances, affecting the lunchtime crowd. "The customers were surprised when the lights went out, but they continued eating. Some asked if it was a Valentine's Day prank," she said.